Hi everyone I hope that you are all well and happy. 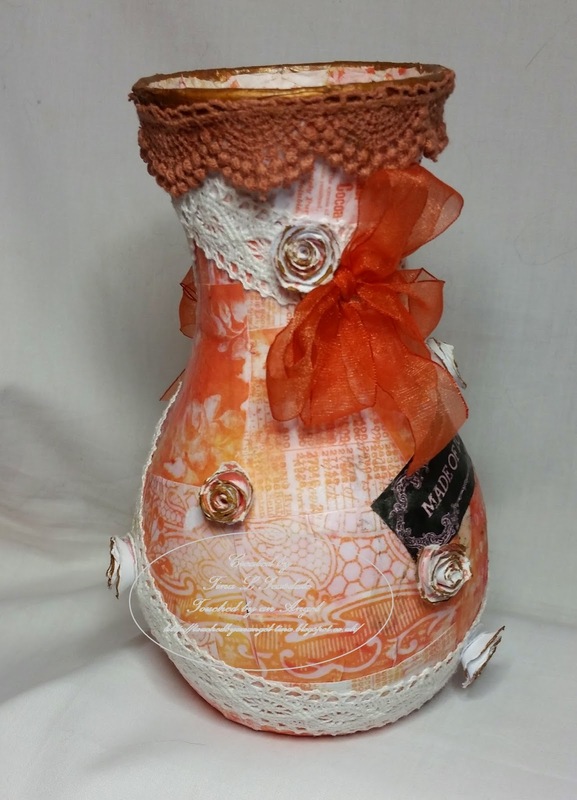 I have to share with you a vase that i have altered for my DT project at Tsunami Rose. 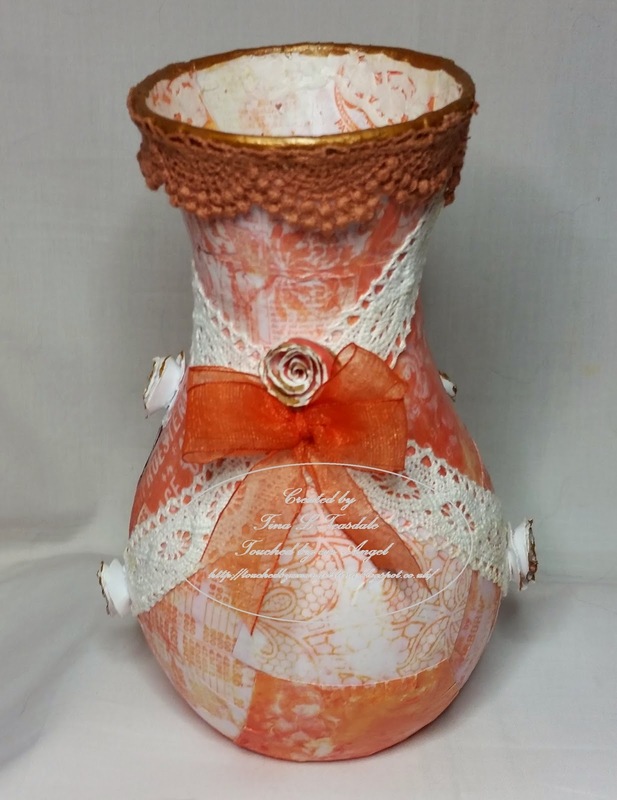 The team have had some gorgeous printables this month to work with and my challenge was to alter a vase. This vase is precious to me as it belonged to my mommy I think that she would love how it has turned out. 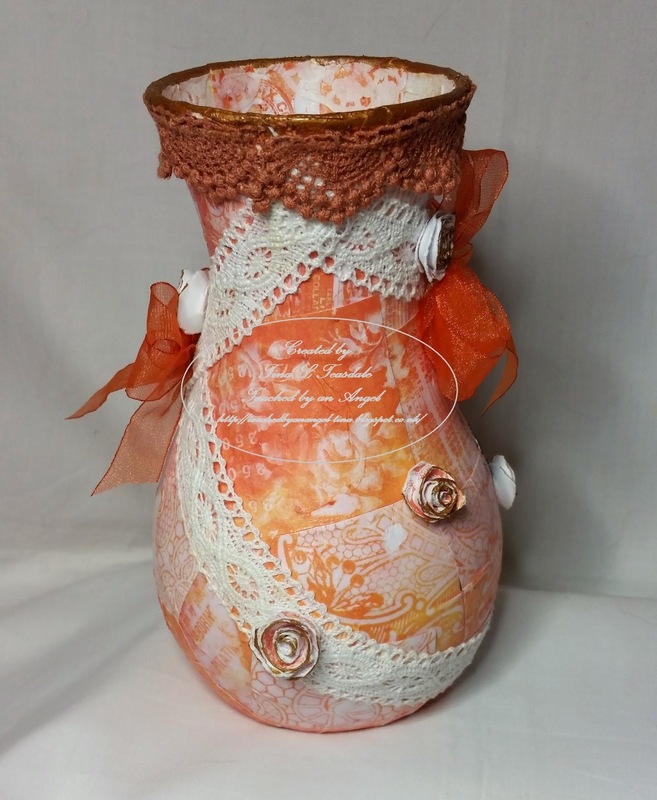 Here is the Vase i have altered and I hope that you like it. Ok so the first picture above shows a few things that i have used along with the vase that I have altered. 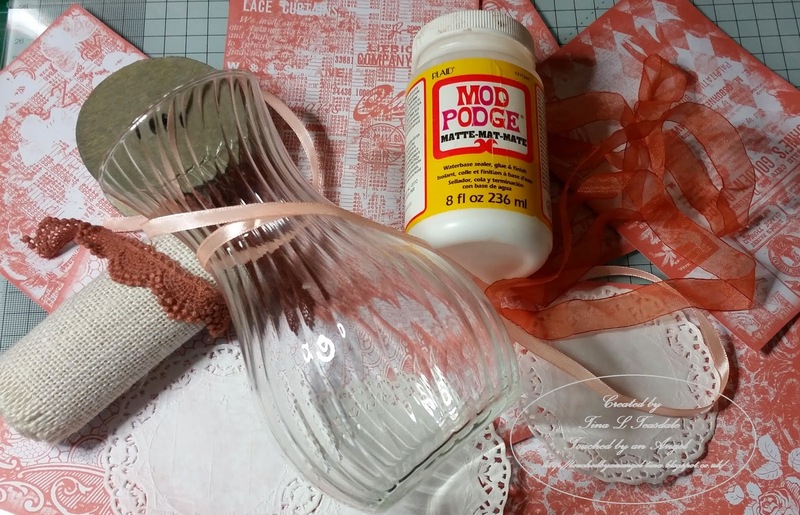 I rough cut some pieces of paper from the monochrome printable journal kit and added them to the vase using Modge Podge. I did this all around the vase until it was completely covered and also popped a little inside the top of the vase with the lacy part of a doily around the inside edge. The flowers that are dotted around the vase are so easy to create, you simply tear spirals out of the paper and roll them up and let them ping out! Ok so I popped some pretty lace around the top and around the Vase itself along with some gorgeous hand tied organza bows. The Made of love sentiment is also a printable from Tsunami Rose. Pop along to the Tsunami Rose shoppe you are sure to find something for you there sooo many gorgeous kits and printables that are very very versitile and a real pleasure to work with.